WASHINGTON (CNS) — Throughout the summer, while Congress was looking for ways to repeal the Affordable Care Act, the U.S. Catholic bishops have continually reiterated the need to put care for the human person at the forefront of any health care legislation. 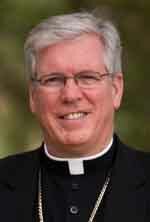 “Concern for the human person is our beginning and end point,” said Bishop Frank J. Dewane of Venice, Florida, chairman of the U.S. Conference of Catholic Bishops’ Committee on Domestic Justice and Human Development, who has issued multiple statements on health care legislation during the past several weeks. During summer votes on this issue, Bishop Dewane repeated that Congress must address “moral deficiencies and challenges with long-term sustainability” in the Affordable Care Act. In a July 20 letter to senators, he suggested that these changes to the legislation could be done in a narrow and bipartisan way. He has frequently emphasized that any changes to the current health law should provide care to those in most need, extend Hyde Amendment protections — barring federal funds from being used to pay for abortions — and protect conscience rights. He said that even those who disagree with the data given by the Congressional Budget Office — about the increased numbers of uninsured though legislative reforms such as the skinny repeal — it’s still clear that “a lot of people would have been harmed” by the bill, he said. The church is not only concerned for the uninsured, but for those who can’t speak for themselves, such as the unborn, he said, emphasizing that health care legislation should not include payment for abortions or requirements that health care providers do procedures that go against their beliefs. During the months of discussion and debate over health care, even with its periods of rancor, the bishop said he thinks there has been a growing awareness among many people about those with health needs and a realization that not everyone has a built-in safety net when health problems increase. He told CNS that the work for the common good includes looking out for those on the peripheries, in the words of Pope Francis. And as he sees it, it’s the basic idea of simply showing “concern for other human beings,” which he said he witnessed at points during the final debate in the Senate when senators weren’t “willing to take a reckless gamble” on health care proposals just to see what would happen. “A reckless gamble is not a solution” when it involves people’s lives, he said.